The play, directed by Mumbai born Kaizaad Kotwal, is an adaptation of a 1982 Broadway production. New Delhi: Cardinal Baselios Cleemis, president of the Catholic Bishops’ Conference of India, has demanded a ban on the play ‘Agnes of God’ saying it hurts the religious sentiments of millions of Christians in the country. The content of the play "misinterprets the religious belief of the Christian Community and wrongly portrays character" of thousands of the clergy "who are committed to a life of celibacy," he said in a letter addressed to the Union Home Minister Rajnath Singh. The play, directed by Mumbai born Kaizaad Kotwal, is an adaptation of a 1982 Broadway production written by American playwright and screenwriter John Pielmeier. 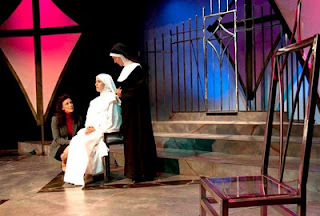 The original work, reportedly based on a true incident in the US, tells the story of a novice nun who gives birth and insists that the child was the result of a virgin conception. Investigations by a psychiatrist lead to a clash with the mother superior of the convent but establish sexual relations. The title is a pun on the Latin phrase Agnus Dei (Lamb of God). The drama was scheduled for Oct. 4 staging in a Mumabi auditorium but the authorities of the auditorium reportedly cancelled the show following protests from a city-based organization, Catholic Secular Forum. Cardinal Cleemis said the drama is "a mockery of lakhs of Religious Sisters who are working selflessly with dedication and generosity" and the play "will deeply hurt the sentiments of Christians, who are always made easy targets, for no fear of retaliation and taken for granted for their peace loving nature. "Cardinal Cleemis in the letter stressed that Christian community is "against any form of art and media that target the clergy and Religious men and women of any Religion, as we believe that Indian culture respects all faith and religions," said a press release issued by Father Joseph Chinnayyan, the deputy secretary general of CBCI. Cardinal Cleemis wanted Singh to instruct chief ministers of Maharashtra, Andhra Pradesh, Telangana and Kerala, where this play may be staged at different times, to ban this play. The senior Church leader said a danger in allowing the play is that "it will be an encouragement for such vicious minds to come out with similar plays, based on other religions, and the reaction need not be always peaceful and tolerant, leading to destroying the religious harmony. "The cardinal has written a similar letter to Minister for Information and Broadcasting Arun Jaitley," said the release from Father Chinnayyan.